JOB OVERVIEW: This is 1-year position that is renewable pending funding and candidate fit, with a 6-month probation period. Part time option possible. FTE entry salary 38-50k commensurate with experience. 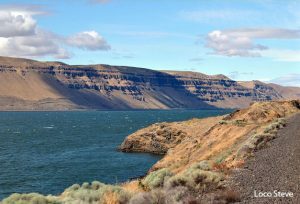 In January, the POLIS Water Sustainability Project released the first publication in its new Watershed Governance Dispatch series. These short, focused research summaries for practitioners, politicians, and decision-makers describe the what, why, when, and how of recent and emerging innovative developments in watershed governance. From June 17-21, 2019 the 15th biennial Conference on Communication and Environment (COCE) will be held in Vancouver, B.C., on the traditional unceded territory of the Musqueam people. Is B.C. keeping its freshwater promises? 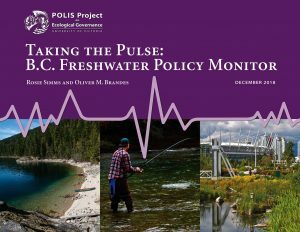 Ten years have passed since British Columbia released the Living Water Smart plan, a visionary provincial strategy that outlines 45 commitments to improve freshwater management in B.C. While there has been notable headway on implementation, new research from the POLIS Water Sustainability Project, based at the University of Victoria’s Centre for Global Studies, reveals that nearly one-third of Living Water Smart commitments have seen minimal progress to date. 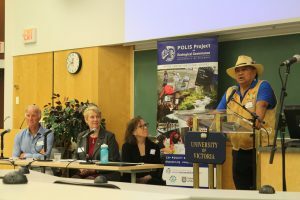 In early November, the POLIS Water Sustainability Project co-hosted the third annual joint B.C. Water Leaders-Funders workshop in partnership with the B.C. Water Funders Collaborative. Thirty-five water leaders and funders from across British Columbia came together in Victoria, B.C. for updates on a range B.C. freshwater policy priorities and to determine how to best strengthen the funder-leader interface. 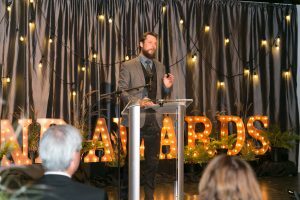 Water Sustainability Project Recognized as Freshwater Leader in B.C. On October 11th the POLIS Water Sustainability Project was awarded the 2018 Land Award in the Fresh Water and Food Systems category. 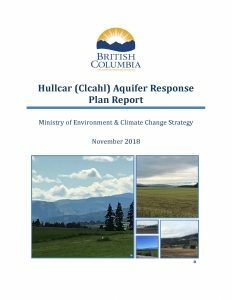 Released on the heels of record-setting wildfires, droughts, and floods, new opinion data shows that more than half of British Columbians worry about the potential for a major water crisis in their community. 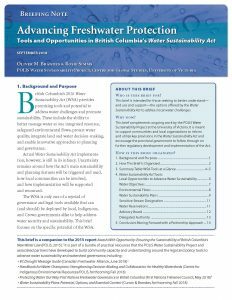 New research released this week by the POLIS Water Sustainability Project outlines the potential of British Columbia’s Water Sustainability Act (WSA) when it comes to addressing water security and sustainability in the province. 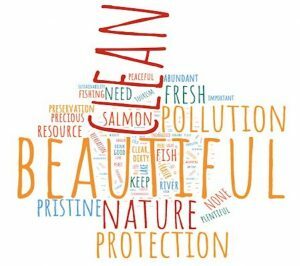 The brief is written for local communities and water leaders who want to support implementation of the WSA to advance freshwater protection. From record-breaking droughts and floods to conflicts over use and rights, fresh water across Canada and in B.C. is facing increasing threats. Addressing current and looming freshwater challenges requires new partnerships and innovative forms of shared authority and collaborative governance to respond to the many social and ecological needs of our watersheds. How do two neighbouring countries tackle vital questions on the renegotiation of an international water agreement involving important issues such as conservation, river health, flood control, hydropower generation, and Indigenous engagement for a 1,930-kilometre river in the heart of the Pacific Northwest?